In our last post we shared tips for preparing for the holidays. The holidays typically mean spending time with family and friends. In today’s Peachtree Place Blog, we have a list of suggested games for you to play during your time off. We have game ideas such as Cranium or Exploding Kittens. Play one of these games at your apartment during this holiday season here in Columbia, SC — enjoy! Monopoly is a fun game to play with family and friends. It might take all night, but that’s perfect for the holiday season! Move around the board, buy land, and build your properties. Your goal is to monopolize the game. Scrabble is a great game to play with a few friends. Make words in this crossword type game. Place your tiles on certain squares for double or triple points. The winner is the one who gets the most points once all the tiles are used up. This is a classic game that word lovers will thoroughly enjoy. Try out this classic Cranium game to play with the whole family, ages 16 and up. Try out other versions of this game for younger audiences or try out the Deluxe version. Whatever version you choose, you’ll enjoy 4 types of activities that you’ll play throughout the game. It’ll create hours of creative, fun game time with family and friends. “Exploding Kittens is a card game for people who are into kittens and explosions and laser beams and sometimes goats.” Enjoy this game with anyone who loves card games with a twist! It’s sure to be fun for all players. What’s your favorite game to play with family and friends? Share in the comments below so we can check it out.  Thanks for reading the Peachtree Place Blog and visit again soon!